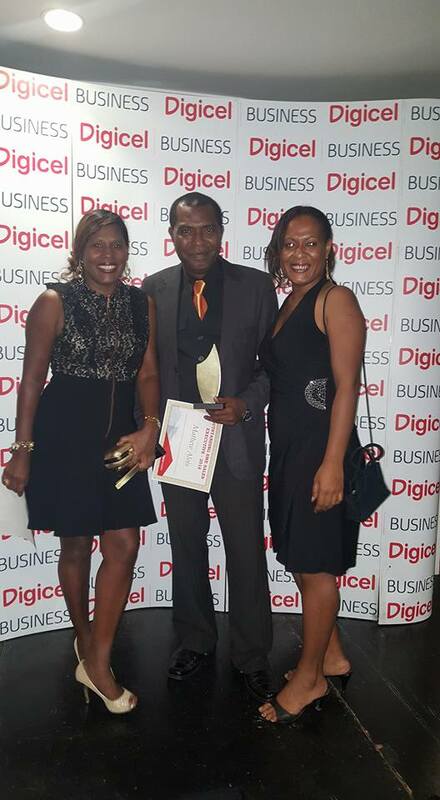 The inaugural Digicel Business Awards were held on Saturday 26 November, recognising the outstanding achievements and efforts of Digicel Business staff from across the country. Gary Cobain, Head of Digicel Business said the award recipients were all well deserving. “Every person who received an award on Saturday night has gone the extra mile and been working hard to improve their professional skills,” he said. Unaware that he was receiving an award, Matthew Alois says he was shocked when his name was called out for Outstanding SME Sales Executive. “I am overwhelmed and thankful for the award and a few of my colleagues are saying that I truly deserved it,” he said. More than 150 guests attended the inaugural dinner at the Holiday Inn Port Moresby, which will be held twice yearly in April and October from 2017 onwards. Digicel CEO, Brett Goschen and other members of the senior management team attended the evening. The awards included recognition for both achievement and effort and covered business areas including Sales, Information Technology (IT), Corporate and Technical Support. Digicel established The Digicel Business Awards as an incentive for staff to exceed client expectations and strive for excellence every day.